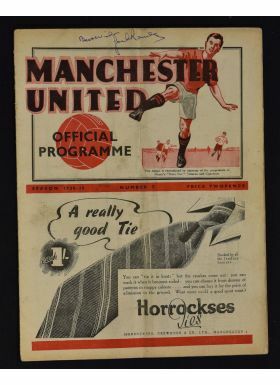 Pre-war 1938/39 Manchester United v Wolverhampton Wanderers Div. 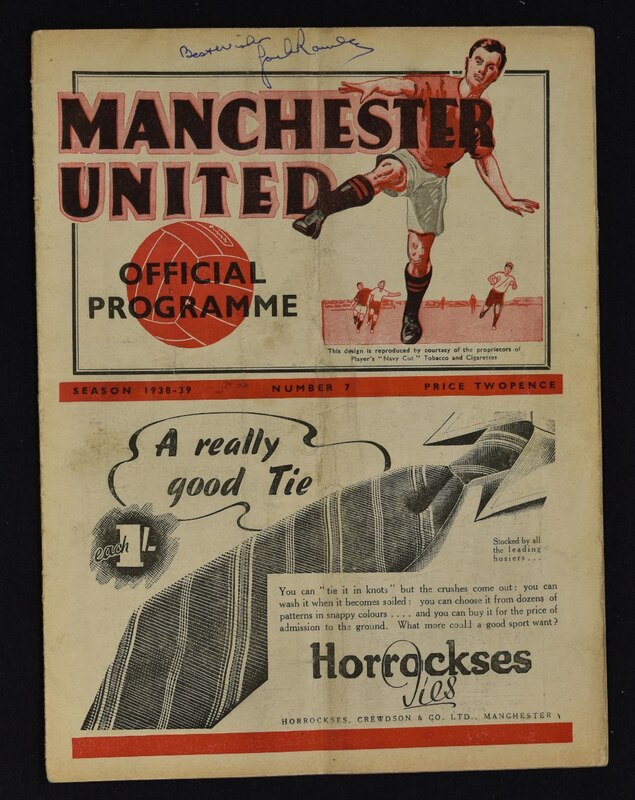 1 Football Programme 12 November 1938 at Old Trafford. Fair, has Jack Rowley autograph.